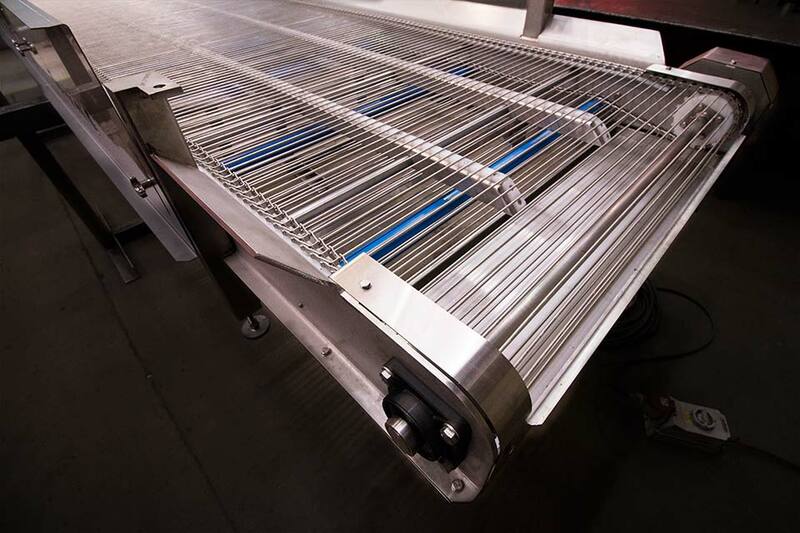 Chain conveyors are generally used for moving material through production lines. Chain conveyors utilize a powered continuous chain arrangement, carrying a series of single pendants. The chain arrangement is driven by a motor, and the material suspended on the pendants are conveyed. They are typically used for moving products down an assembly line or around manufacturing or warehousing facilities and are often used for the transport of white and brown goods, for metal finishing and in the distribution industry. 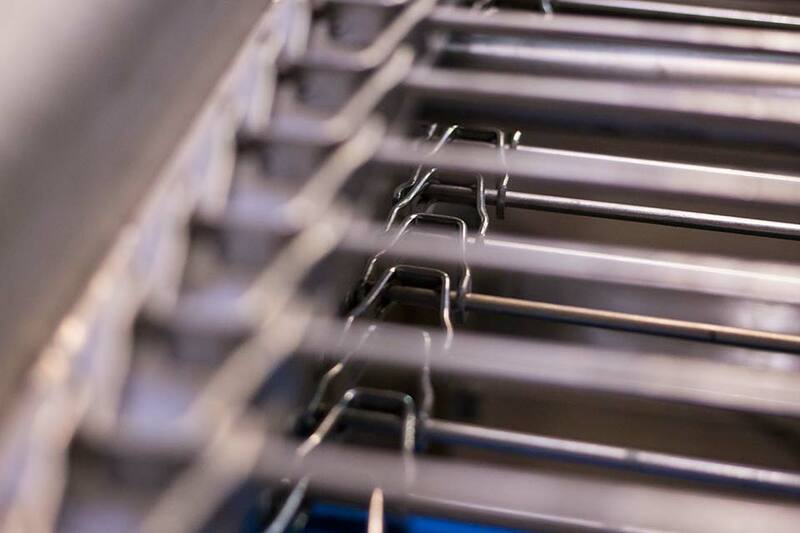 Chain conveyors are also an excellent way of conveying relatively free flowing and free flowing powders, granular and pelleted products within your bulk handling material applications. Friable (easily damaged) materials can be handled successfully with this type of equipment. They can also be inclined or angled to suit your application and can be fitted with several outlets for feeding multiple loading applications and can convey over long distances as required. 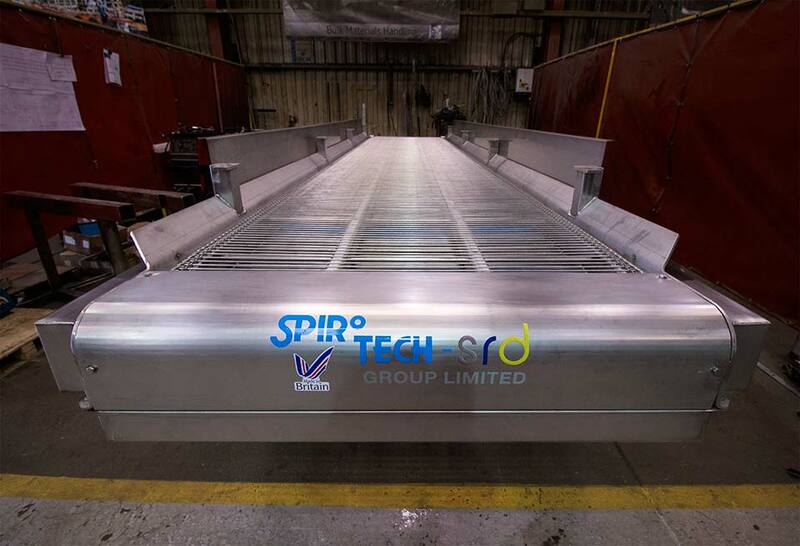 For further information regarding our chain conveyors please contact one of our sales engineers who will be happy to discuss your requirements further.